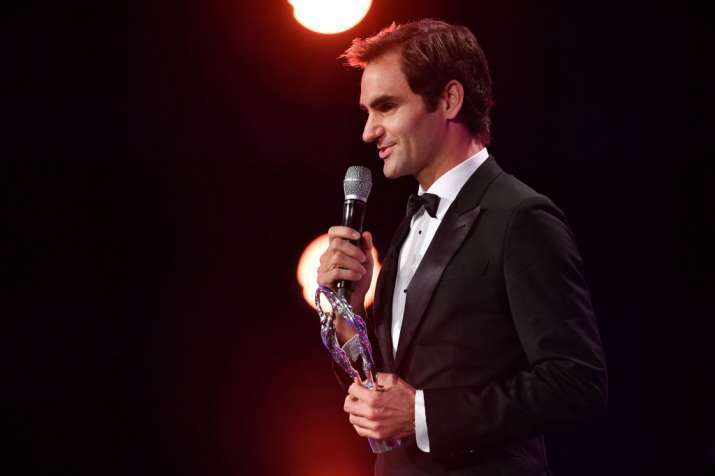 In the Sportsman of the Year category, Federer waved off tough competition from the likes of Rafael Nadal and Cristiano Ronaldo to bag the honours. 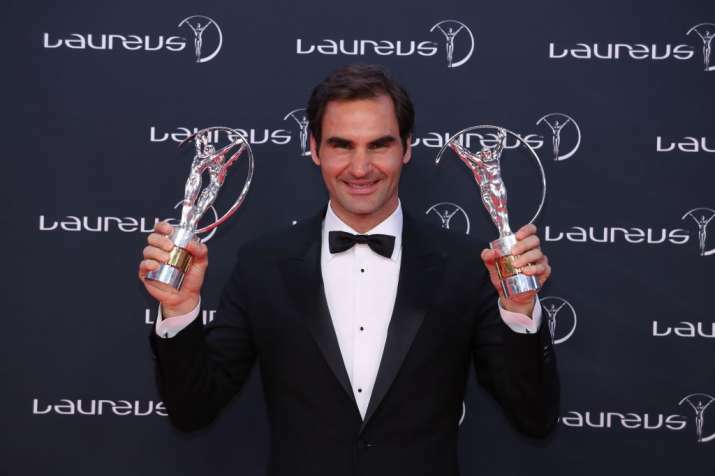 Tennis legend Roger Federer became the most decorated winner in the history of Laureus World Sports Awards after he won twin honours, his sixth, which includes the Sportsman and Comeback titles at the 18th edition of the prestigious awards ceremony. While Federer bagged the title in the men's category, American tennis great Serena Williams won the Sportswoman of the Year Award following her Australian Open success, her 23rd Grand Slam title. Serena, who gave birth to her first child last year, is now the most decorated female Laureus Award winner with five Laureus statuettes. Speaking after receiving the awards, an ecstatic Federer said, This is a very special moment for me. Everyone knows how highly I value my Laureus Awards, so to win another would have been wonderful, but to win two is a truly unique honour. It was so unexpected. I am delighted and I would like to thank the Laureus Academy for all their support. "It was an unforgettable year for me, to come back after a very difficult 2016, and these awards just make it even more memorable. When I won my first Laureus Award back in 2005, if you had said I would have ended up winning six I would not have believed you. Its been an amazing ride. Spanish golfer Sergio Garcia won his second Laureus Award, 18 years after winning the Laureus Newcomer accolade at the 2000 Awards when he bagged the Breakthrough of the Year Award for winning the 2017 Masters, his first ever Major Championship win on his 74th attempt. Among other winners, Mercedes AMG Petronas beat the likes of Real Madrid and the Golden State Warriors to win the Team of the Year Award, after securing their fourth successive Constructors World Championship title. French Vende Globe winning sailor Armel Le Clac'h won the Action Sportsperson of the Year Award, while Swiss triple world champion wheelchair racer Marcel Hug won the World Sportsperson of the Year with a Disability Award, for his 800m, 1,500m and 5,000m titles in the T54 class at the 2017 World Para Athletics Championships in London. Attended by sports stars, celebrities and business leaders from around the world, the awards recognised sporting achievement in the 2017 calendar year and were hosted by Hollywood superstar Benedict Cumberbatch, while world-renowned singer-songwriter Emeli Sand performed for guests. 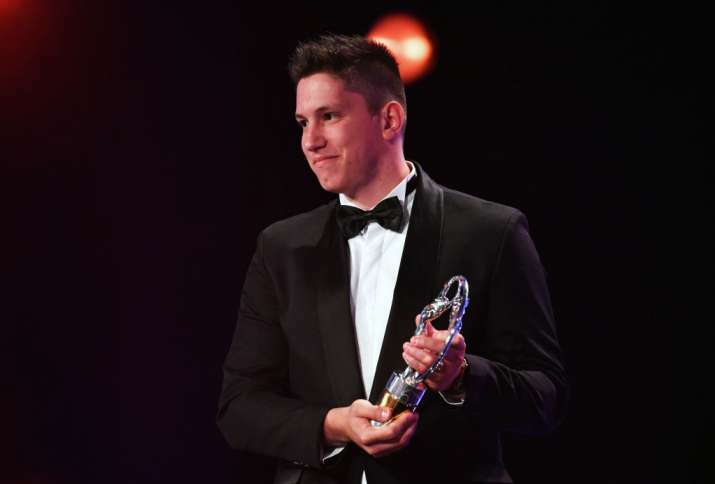 Brazilian football team Chapecoense, which was torn apart by a devastating plane crash but made a remarkable comeback six months later which inspired the sporting world, were honoured with the Laureus Best Sporting Moment of the Year Award. Active Communities Network, an international sport for development organisation which works in the UK, Ireland and South Africa, received the Laureus Sport for Good Award for their life-changing work in using sport to help young people make positive lifestyle choices, by learning life skills and progressing into education, training and employment programmes. Among other awards, Italy and Roma football legend Francesco Totti received the Laureus Academy Exceptional Achievement Award, honoured for his inspirational 22-year one-man-club career with Roma and his 2006 World Cup success with Italy. Houston Texans defensive end J J Watt received the Laureus Sporting Inspiration Award for his incredible fundraising efforts after Hurricane Harvey hit Houston, where he raised more than USD 37 million to support relief efforts. Besides, US Olympic legend and Laureus Academy member Edwin Moses received the Laureus Lifetime Achievement Award, in recognition for his remarkable sporting career in which he won two Olympic gold medals and remained unbeaten for nine years, nine months and nine days in the 400 metres hurdles.